However, the UTV manufactured in the factory may not be able to kick it hard against the storm and satisfy your thirst for extreme off-roading all by itself. That’s precisely where we chip in, with our top-of-the-line side by side UTV accessories, such as doors, rear windows, soft and hard windshields, rear view mirrors, heaters, etc. Considering the rider’s safety, cab enclosures are one of the essential UTV accessories an operator can have. In the absence of doors or windshields, operators are only protected by the cage and moreover have to face all the dirt when navigating across muddy landscapes and off-road patches. Cab enclosures are not just about adding another accessory on to your vehicle, but it is more about giving a sense-of-relief and safety to the various operators indulging in long-distance traveling in the same UTV vehicles. When it comes to UTVs, the John Deere Gator is the most versatile, durable and efficient of all UTVs available in the market currently. With several models to choose from, the Gator is an ideal option for all activities outdoors and sometimes for recreational use. One cannot simply love the idea of having a John Deere UTV without wanting to customize its specifications and moreover expand the use and functionality of the vehicle overall. 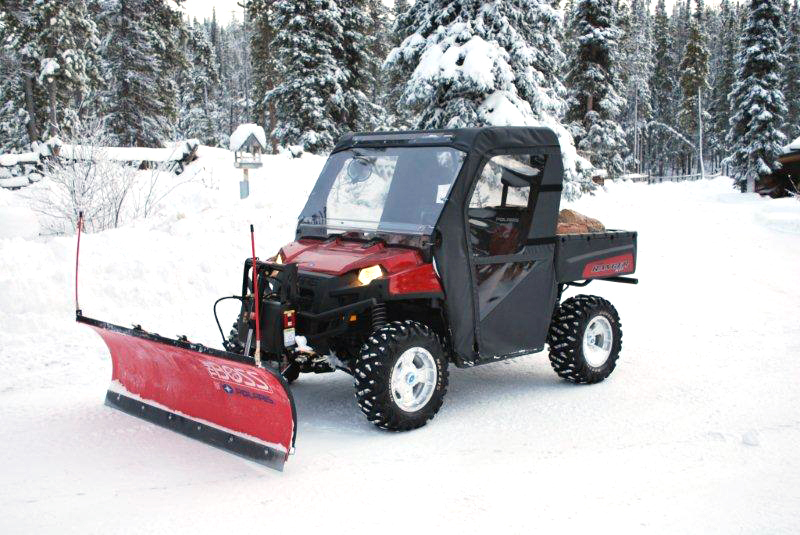 Consider adding the following type of accessories, especially John Deere Gator full cab enclosures, considering the weather turned rough, and there’s no stopping the cold in such terrains where the harshness of the climate can lead to deadly mishaps and accidents while outdoors. If you need a high-performing, utilitarian, and reliable UTV on the job, especially for the trail or regular visits to the woods, KYMCO UXV 500 will come across as the perfect option. And compared to others UTVs in the category, it is a value option as well. The KYMCO UXV 500 is loaded with a powerful liquid-cooled engine, which is a better version that comes with any model in its category. Other features include automatic CVT transmission, digital instrument display, on demand 2WD/4WD, independent dual A-arm suspension, winch mounting plate, and differential lock to name a few. UTVs come in diesel, electric or gasoline motors. The gasoline motors can power a UTV to speeds that surpasses 50 miles per hour and they can make the vehicle to be susceptible to rollovers.